A cover letter is submitted along with your resume, to potential employers. 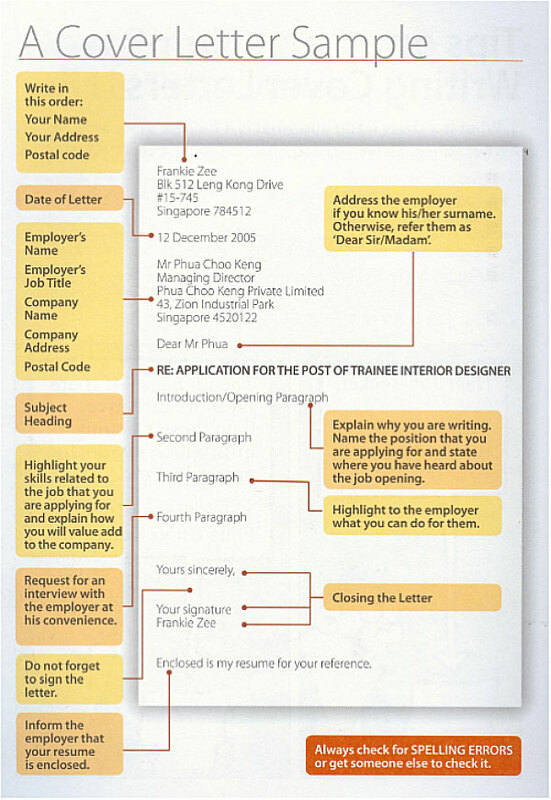 How should the cover letter be presented? Cover letters are formal letters, and should be typewritten in black ink on white paper. Use Times New Roman or Arial as standard typefaces and maintain the font size at 10 points. Colourful and fancy typefaces are not appropriate and should not be used. How much information is appropriate? As a rule of thumb, cover letters should not exceed one page of an A4-size paper. Employers are only interested in the information relevant to the position.